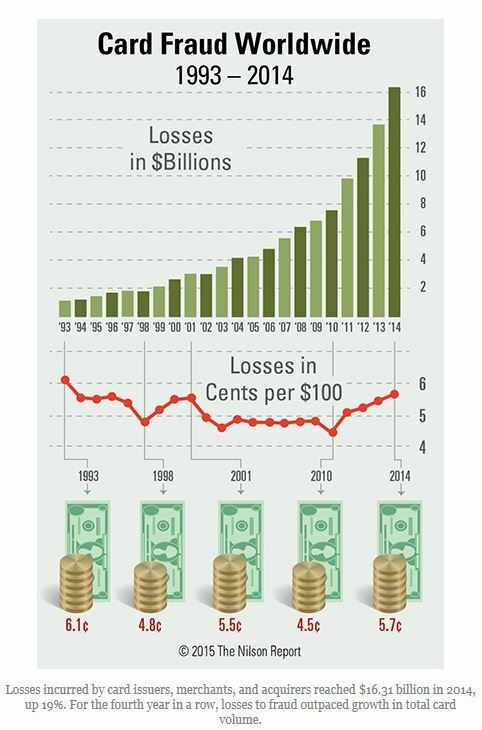 Fraud losses incurred by card issuers, merchants and acquirers reached $16.31 billion in 2014 per The Nilson Report. Are your electronic payments systems protected? This entry was posted on Tuesday, August 11th, 2015 at 12:08 pm and is filed under Payments Industry. You can follow any responses to this entry through the RSS 2.0 feed. You can leave a response, or trackback from your own site.